A mysterious audio illness afflicted another Canadian government employee last week, reinvigorating previous theories that the afflicted may be a target of sonic or microwave attacks. 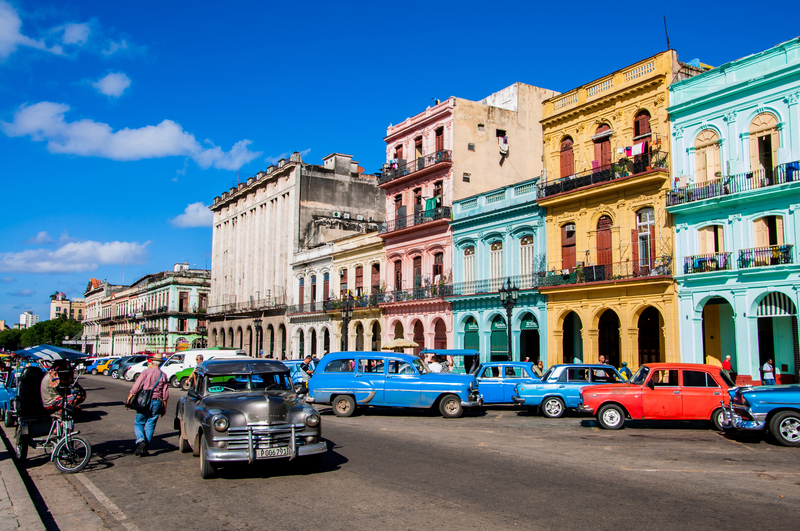 The Canadian employee is the latest to suffer from the mysterious “Havana syndrome,” which has afflicted a number of American and Canadian employees in hotels and temporary residences in Cuba and China, The Washington Post reported Monday. The condition has even affected some at their homes, according to the Post. Over three dozen American diplomats and family members have been affected by the mysterious illness over the last two years, the Post reported. FBI and CIA officials have investigated the illness, but have been unable to determine its cause. Symptoms include ringing and pulsing in the ears, headaches, and difficulty concentrating and recalling basic words, according to the Post. “Everybody was relatively skeptical at first,” Dr. Douglas Smith told The New York Times in September. “[But] everyone now agrees there’s something there.” Smith was the lead author of a March JAMA report on 21 affected diplomats from Cuba. The diplomats may have sustained brain injuries, according to Smith. Anti-Fidel Castro dissidents Ernesto Diaz Rodriguez and Luis Zuniga endured “ultra-sonic” torture for more than 20 years while confined in regime prisons, the former prisoners recounted in a November 2016 hearing organized by Freedom House and the Justice Cuba International Commission. “The sounds oscillated from high-pitch to very high-pitch that almost pieced the eardrums,” Zuniga recalled, describing the torture he endured in 1979. Thinking clearly became difficult, according to Zuniga, and he grew increasingly uneasy. A prisoner committed suicide after enduring the torture, Zuniga said. American diplomatic personnel plagued by the “syndrome” describe many of the physical and mental effects that afflicted Zuniga and his cohorts, causing experts and government officials to wonder if the same Cold War tactics are currently in play. The Canadian government will allow all its employees residing at Cuba’s embassy to return home if they choose, the Post reported. A dozen Canadians have been afflicted with symptoms, according to the Post. Government officials residing in China have also been affected by the illness. Doctors sent 15 U.S. officials in Guangzhou home for testing after displaying symptoms of the illness, according to the Post. Foreign Service officer Mark Lenzi described the noise as “rolling marbles with static,” and said he and his wife began hearing the sounds in April 2017. He later began suffering terrible headaches, the Post reported in June. The source and mechanics of the attacks remain unknown. There is speculation that China and Moscow may be perpetrating the attacks, but currently no evidence backs the theory. Cuba’s government has continually denied involvement with the attacks.